Well today is my one year LaLDversary! It turns out that I’ve been writing on LaLD for exactly a year as of today, so here’s a short retrospective of a year on LaLD. I started off with a first post about my Lesney Edition Volvo 1800S, which was my first, and still, only Lesney Edition, though I’ve been looking for more for quite a while. The series is still my favourite recent Matchbox series, but they’re hard to come by (cheaply) in Canada. I also took my diecasts to the Canadian International Auto Show, which is where I’ll be at by the time you read this! I also started on buying diecast from antique markets, flea markets, and swap meets, as well as down the eBay rabbit hole, which helped me branch out a lot and find things otherwise difficult to find locally (at quite an expense though, welp). I also showcased a few Micro Machines and Speedeez, and I hope to gain a few more this year. 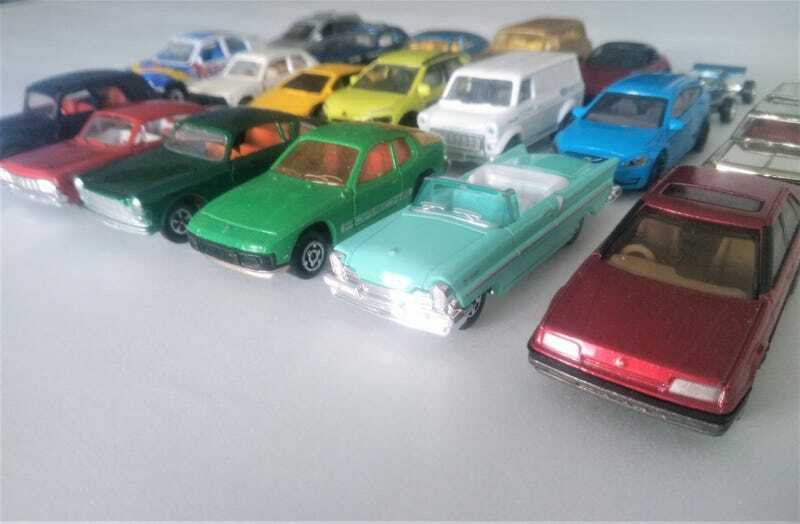 I certainly did expand the variety in my collection by a lot, from mostly new Matchbox to include older Majorette, older Tomica, some Lone Star Roadmaster Impy Super Cars (whew), Schucos, Revell Lowriders, and Matchbox Premieres, among others. Regarding promises though, I did want to get into scale model building and mild diecast customizing (wheelswaps, detailing, paint) for a couple of years, though I still have yet to start. I suppose I’ll be asking quite a lot of questions in the coming months! Here’s to many more years with the lovely, welcoming community that is Live and Let Diecast!